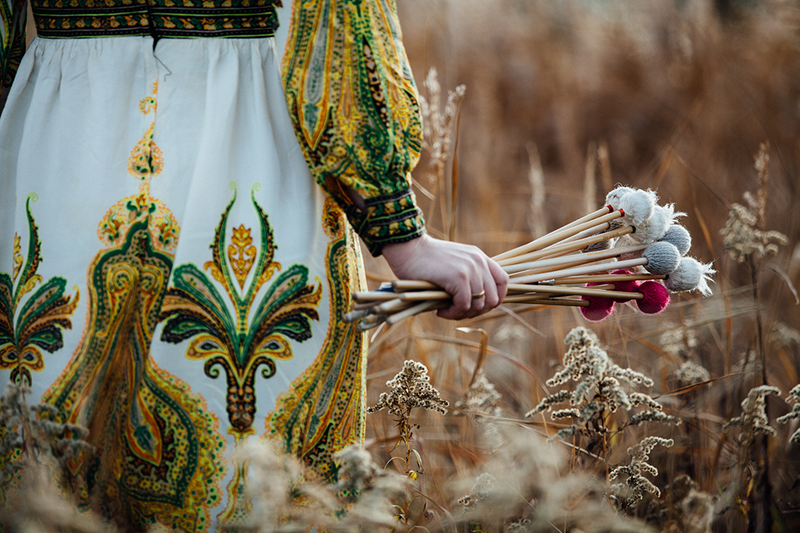 Anna Rutkowska, PhD, is a talented and openminded Polish marimbist and percussion artist with a huge desire and determination for discovering new fields of music. of Music in Cracow, Poland (2009), and it was a starting point of her career. Anna has had a chance to work with great people from contemporary marimba and percussion world like: Keiko Abe, Jean Geoffroy, William Moersch, Fumito Nunoya, Marta Klimasara, Peter Prommel, Katarzyna Myćka, John Beck, Tchiki Duo, Ramon Lormans, Vincent Houdijk, Mitch Markovitch, Ricardo Flores, Nippy Noya. by Japanese composers: Keiko Abe, Minoru Miki, and Akira Miyoshi. In 2009, as the Laureate of the XII International Competition of Contemporary Chamber Music in Cracow, (Poland) Anna Maria directed her main focus on solo and chamber marimba performance. She performed at many festivals in Poland including “Warsaw Autumn” (Warsaw, Poland), “Sources and Inspirations”, “Audio Art”, “International Festival of Krakow Composers” (Cracow, Poland), and also took part in numerous concerts across Europe, like in Germany “BeethovenFest” (Bonn), Switzerland “KALIMA” (Lausanne), and the Netherlands “Uitgast” (Lelystad), and “Percussion Friends Chamber Music Academy” (Amsterdam). The spectre of Anna’s marimba repertoire varies from solo pieces, chamber music and concertos for marimba and orchestra. Her classical music touch and the inner fire create the unique blend of impressions and expressions one can experience while her stage performances.